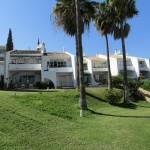 On this page we offer answers to the most frequently ask questions about buying property in Spain. No doubt you have millions of questions playing on your mind about buying a property over here in Spain. Let us take the doubt away and try and answer some of them for you. I’m sure there are questions we haven’t thought of and in that case please don’t hesitate to contact us and we will come back to you straight away. How do I arrange a viewing trip? Simple…send us an email or by our contact us link or call us and we will call you straight back…. If you want to spend time looking at property with us we can help organise your trip, this is not a pressured “Inspection Trip” you will not be pushed to buy. We will help you, plan your trip, choose a selection of property that you have requested (not property that is assumed to be your selection) and assist you where YOU request. Can non residents buy property in Spain...? YES -Non-residents have been buying property in Spain for at least the last 40 years. Although we could quote all the legal paraphernalia regarding this topic, it´s simple anyone can buy a property in Spain resident or non-resident. We can if you should require assist you in finding a lawyer to help with all of your legal questions. Is it expensive to live there..? A whole lot cheaper, in everyway. The cost of living may be as much as 30% less than the U.K. Electricity, water, gas, community are just a fraction of what you would be paying now. And apart from the fact that there’s more variety the food is a fifth of an average restaurant bill and tastes better! What’s the first step in buying a property in Spain? let us search for you, then you can screen our searches. Our staff will follow your lead and help you where YOU request it. We will find what suits your needs, requirements and budget. What sort of deposit will you need? A reservation will take the property you have chosen to buy off the market, freezes the price and stops someone else from buying the same property. This is normally around 3000€ We advise you to ensure that this amount is immediately available as good properties sell fast .The length that it holds for is normally 30 days but can vary depending on your agreed period of time. After this a deposit of 10% and then you have another agreed period of time until final payment or mortgage. Mortgages can be approved in 48 hours but normally take 4 / 6 weeks to complete. The same procedure applies to every agency, agent or development on the coast and is legally protecting everyone. What kind of mortgages are available to non-residents? Types of mortgages that are available are changing monthly it’s fast becoming that as many types of mortgages, repayment, interest only etc are as possible here as they would be to you back home. In many cases there are variants of different agreements with banks here in Spain, that are better than you would be offered with your own high street branch at home. You can re-mortgage…Should you choose to re-mortgage an existing property you will be able to finance any stage payments of a purchase. Bridging loans are another possibility. Banks in Spain can offer competitive mortgages with low rates of interest. They will grant a 70% loan to value for non-residents, 100% loan to value for resident, in most occasions. What other costs will I need to consider? These days we prefer Lawyers to clearly explain this question with our clients as the explanation needs to be accurately understood. The added cost to a purchase is between 10 / 11% of the purchase price. Where this money is attributed is IVA, Notary, Legal fees... The breakdown will be made clear to you through your lawyer. The purchaser has to retain from the vendor 5% of the purchase price on the time of completion at the notary, this is given to the Spanish Tax Authorities. This is to stop vendors from leaving the country with any debts, which once they have left Spain are impossible to retrieve. It’s important for the buyer to do this, as you may become liable for the debt if you fail to make the retention. Your Lawyer will do this. The price if you chose to buy an off/plan property meaning a property waiting to be constructed, is actually the same should you buy direct from developer or through an agent selling on their behalf…in this case our company…Key Estates. The price to you remains the same the only difference is the service!! We offer a complete after sales service, from the beginning to the end, normally a two year process. We will resource the best plot in terms of investment, not try to sell you the last remaining! We offer a re/sale support where we will try and sell your property for you before completion. These are all points that you will not be able to say of a developer’s agreement on purchase. Buying An Off plan property? The developer will generally have the most attractive financing options to offer to the purchasers should the purchase go to completion at the end of two years. Little paperwork on your part is needed to take on this mortgage so some clients prefer to take on a developers mortgage than resource their own. It tends to be a percentage higher than a bank mortgage but easier to obtain. The paperwork will be standardised but you will need to check the terms and conditions carefully, or your lawyer will.. Developers generally offer excellent terms to purchasers who begin payment before the building is finished. This can work in your favour but you must be sure that the developer is reliable and solvent, and that he is able to bring the project to completion. THIS is another reason that it may be a good idea to go through an agent who can guide you in the direction of the sold developers The developer must offer a bank guarantee that assures the return of your total investment if the project stalls or fails. It is important that this guarantee does not cost you anything and details of the guarantee must be documented in the contract or a separate document. All of which will be judged by your lawyer. Is my money protected when buying an off plan property? Property developers need to have bank guarantees and/or insurance to provide for the repayment of any monies in the event of bankruptcy, if your lawyer finds this not to be the case then you should not buy the property. You need a Spanish lawyer the laws can differ between countries and most of the lawyers here speak perfect English. The other benefit to using a Spanish lawyer is that they can guide you through the whole process from the start to end without you having to be here in Spain should you have oversees commitments. We can help you with your chose in lawyer if you should want us to. IS a person of the highest authority who checks that the title deeds and purchase are in order before the final payment is made and all documents are signed. The Notary then sends these to the local Land Registry Office and the final registration, which can take 2 months. community fees are simply paying for the upkeep of the community area you are buying into i.e. properties that share benefits e.g. swimming pool, gardens, security, general maintenance. Depending on the shared benefits depends on the price of the community fees. Does anything change if I become a Spanish resident? If you live in Spain for more than 183 days or about this time you should have official residency. Anyone can apply for full time residency, you can do this at a local police station, where they will also issue you with a NIF number, something a non resident is also required to do, should they be working within the Spanish tax system – for instance if you own a property, or draw interest from a bank, in this case you need an NIE number. When the title deeds are signed is the property ours? The keys and property are now yours the owner – vendor now has no more rights over the property. What do I need to open a bank account in Spain? Your passport an additional form of identification and a sum of money which can differ between banks.